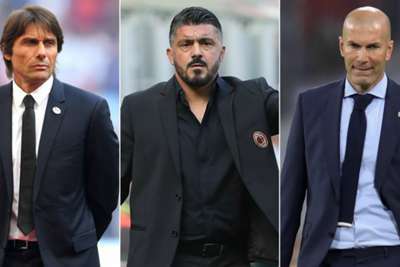 AC Milan's sluggish start to the new Serie A season sparked a wave of speculation over the future of favourite son and head coach Gennaro Gattuso. Three straight competitive victories have since provided a measure of calm, but an unwanted result in Sunday's derby with Inter could give rise to more discussion regarding the club's current direction. Defeat would leave the Rossoneri seven points adrift of their city rivals and pile the pressure back on Gattuso, whose managerial experience is dwarfed by cross-city rival Luciano Spalletti, as well as Juventus boss Massimiliano Allegri and Carlo Ancelotti at Napoli. Milan, now guided by former players Leonardo and Paolo Maldini, are not short on options should they seek a change, with the five men below all boasting compelling credentials. "I can't think of Antonio Conte or who will arrive," Gattuso replied in September when asked if the spectre of the man persistently linked with his position was affecting his work. It is difficult to think the incumbent will not have paid at least a passing thought to the former Juventus and Italy boss, whose availability after an acrimonious split with Chelsea seems to have instigated the uncertainty over the Milan hot seat. Conte's return of three titles in as many seasons with Juve makes him an attractive prospect for any Serie A side, and he would perhaps offer a level of tactical maturity the more inexperienced Gattuso cannot yet match. Should they covet his services, Milan might have to make a move sooner rather than later, given Real Madrid are reportedly keeping the 49-year-old in mind. If Gattuso is not working out, why not turn to a man at the other end of the spectrum when it comes to experience and appoint the stately, and still unemployed, Arsene Wenger? Wenger was touted as an option soon after Milan's recruitment of Ivan Gazidis as chief executive from Arsenal, where the pair worked together for almost a decade. 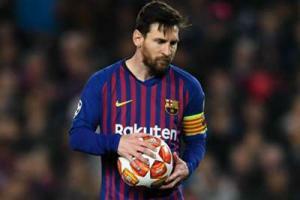 The decorated Frenchman this week revealed he would be ready to return to work in January after receiving offers "from all over the world", with Bayern Munich and Madrid both mentioned as possible destinations. If the derby does turn sour and elicit a rash response from the Rossoneri hierarchy, Roberto Donadoni could provide a safe pair of hands to stave off further instability. The 55-year-old former Milan midfielder left Bologna in May with his reputation generally enhanced from a three-season stay, having previously spent a similar stretch with Parma. Donadoni's failures in charge of Italy and Napoli do cast some doubt over his ability to handle grander responsibilities, but his ties to Milan are as strong as those making the decisions. Milan's prolonged absence from the Champions League has robbed them of the glamorous sheen that Zinedine Zidane could certainly replenish. No available head coach knows as much about winning in Europe than Champions League specialist Zidane, while the prospect of proving he is capable of claiming silverware without a readymade squad could intrigue the ex-Serie A star. His bond with the Bianconeri makes the idea of a union with Milan complicated, but Zidane clearly has the insights that could turn a team rippling with unrealised potential in genuine contenders. Gianluigi Donnarumma, Patrick Cutrone and Franck Kessie are among a crop of young talents at San Siro that suggest a bright future lays ahead. Leonardo Jardim, suddenly on the hunt for a new project after diminishing resources at Monaco undermined his plans, has a proven skillset attuned to fast-tracking that kind of group into unexpected title winners. Kylian Mbappe was the pin-up boy of the entertaining Jardim side that toppled Paris Saint-Germain in Ligue 1 and captured Europe's attention in 2016-17, achievements that will have not gone unnoticed by the movers and shakers within the continent's top clubs.